Over the last 14 years, we have delivered hundreds of Father and Son fishing trips in Scotland and the UK, for all species of fish. In fact, we are not far behind in delivering Father and Daughter fishing days as well! When you consider fishing is a pursuit that draws on our survival skills and hunter-gatherer instincts, being able to share such a primal bonding experience with your son is a deep-rooted, rewarding experience. 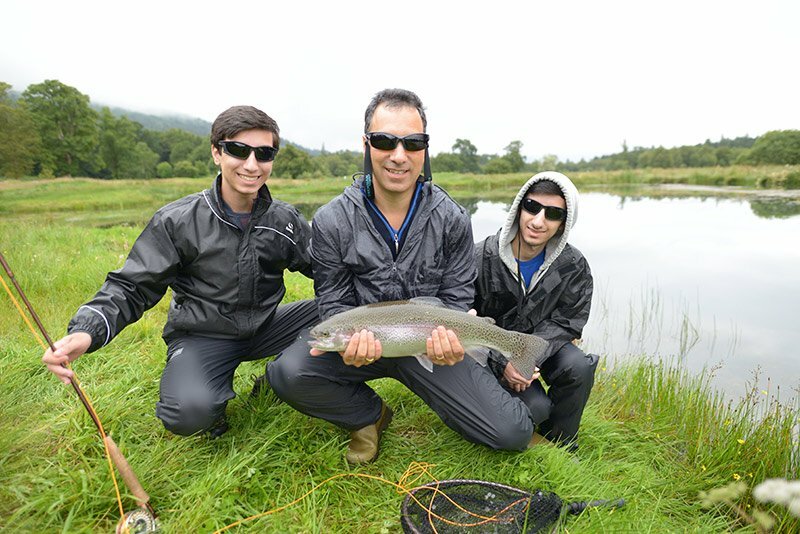 Surely a Father and Son fishing trip can only be bettered by a father and two sons? This lovely family enjoyed catching a dozen big trout. 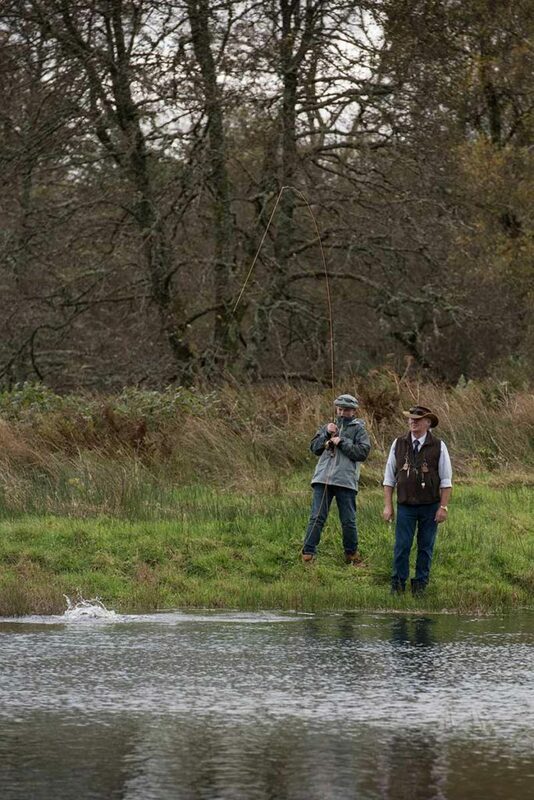 It was an escape for them, away from the bustle of London to enjoy a fly fishing trip for trout near Glasgow. 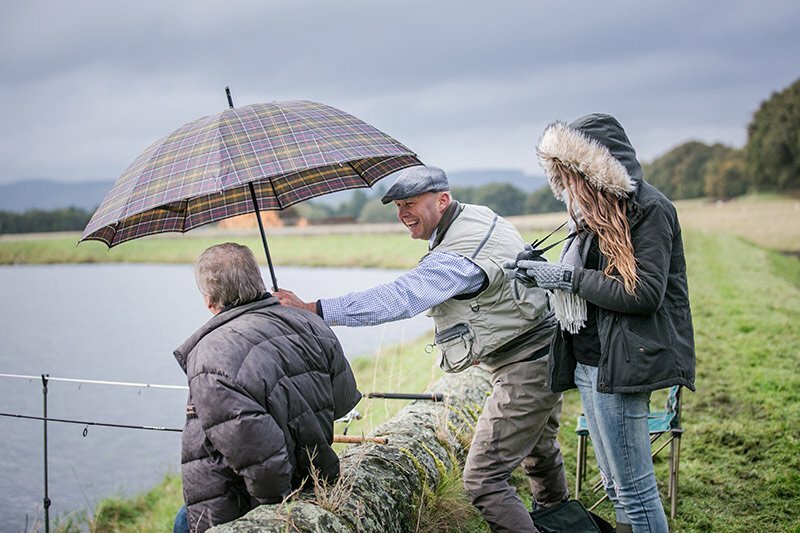 The venue is a private trout fishery located 30 minutes west of Glasgow and close to Loch Lomond. Ideal for private fishing parties as it sits within a private estate. It’s often the case that our guide is more suited to giving instructions than Dad. As we all know, that makes the day more enjoyable for everyone. Our guide John pictured below is disclosure checked and a professional casting instructor. He is a calm patient guide and is excellent at instructing children on the art of fishing, whatever the species of fish. One of the philosophies that underpin the fishing experiences we deliver, is the understanding of how important it is to disconnect from technology and communication overload, and relax in the outdoors. It’s very hard with children to keep their focus away from gadgets and connect with nature. There is too much distractive technology at their fingertips, phones, iPads, Xbox, and television, (don’t even mention social media), it’s dangerously addictive. We often find that children enjoy getting back to basics. 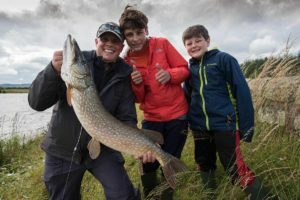 They have such a memorable and enjoyable day fishing and connecting with nature, exploring, learning and discovering. One kid that spent a day with us, spent hours getting my labrador to retrieve a stick from the River Tay. His father offered to buy my dog, but that’s another story. It’s sometimes the simple things! Being with your Dad. Being with your son. Being with your daughter. Sharing nature together. Believe me, it’s not only spiritual and uplifting but creates lifelong memories. 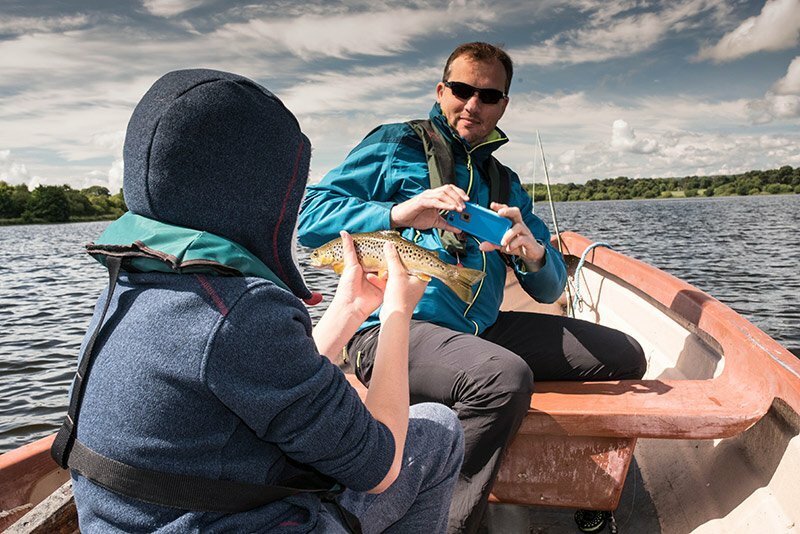 If you would like to share time in the outdoors fishing with your son(s) or daughter(s) Please get in touch to create a fishing holiday or trip in Scotland.